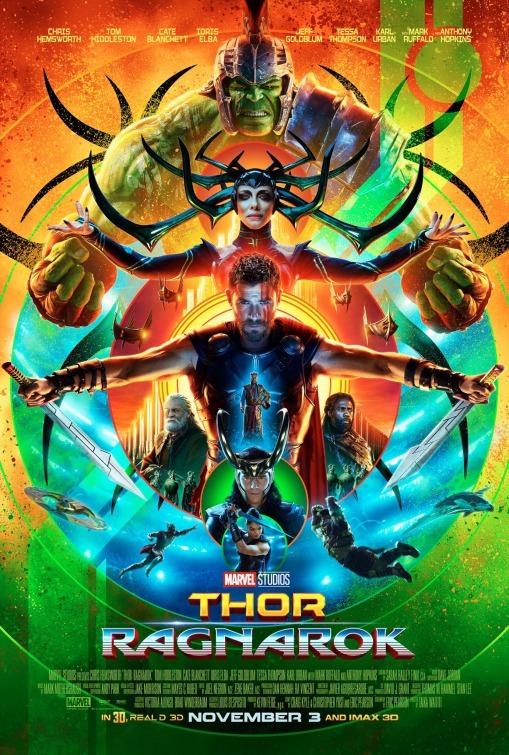 A significant upgrade even from 2011’s solid but generally unexceptional Shakespearian fish-out-of-water fantasy “Thor” and particularly 2013’s dreary sequel “Thor: The Dark World,” “Thor: Ragnarok” is easily the strongest of the Norse God of Thunder’s own installments by going off brand and being more of a buoyant, slap-happy cosmic comedy without an ounce of self-seriousness. Hiring New Zealand filmmaker Taika Waititi (who put his own fresh spins on formulas with 2015’s “What We Do in the Shadows” and 2016’s “Hunt for the Wilderpeople”) proves to make a world of difference, opting for a jokier, cheekier tone and coming close to making his “Flash Gordon” that’s more aware of its campy trappings. 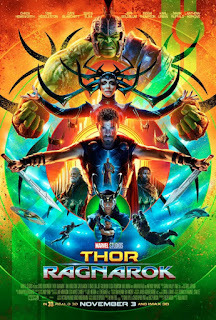 Filled with more guffaws than danger—even though “Ragnarok” means the End of Days for Asgard—“Thor: Ragnarok” borders on being a lightweight lark, but it plays out as a brisk, splashy and unpretentious roller-disco bonanza that knows how to entertain. After being imprisoned by fire demon Surtur and then escaping, Thor (Chris Hemsworth) returns to Asgard to find mischievous half-brother Loki (Tom Hiddleston) in command of the kingdom. Loki explains to Thor that their father, Odin (Anthony Hopkins), is dying, and when he does, his passing unleashes Odin’s exiled first-born daughter Hela (Cate Blanchett), the Goddess of Death, from centuries of imprisonment. When she deprives Thor of his mighty hammer, she vows to overtake the throne and bring down Asgard with the oncoming Ragnarok. Meanwhile, as Thor and Loki flee from Hela, Thor crashlands in a junkyard on planet Sakaar, where he’s picked up by Valkyrie/Scrapper 142 (Tessa Thompson), who takes him to the Grandmaster (Jeff Goldblum). 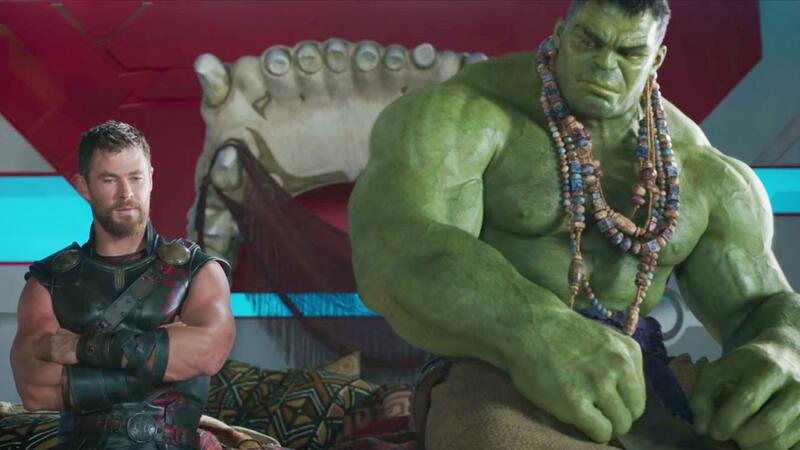 There, Thor discovers co-worker Hulk, who hasn’t been in human form as Bruce Banner for two years, and must convince him to help save his homeland. 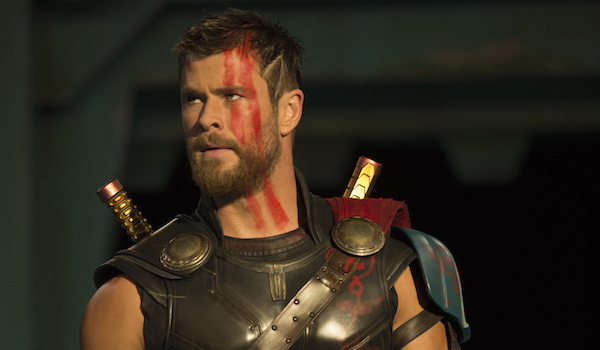 Marvel TV writers Eric Pearson, Craig Kyle & Christopher L. Yost abide by the formula of the Marvel Cinematic Universe—Thor and company must demonstrate teamwork to save his people and defeat a Big Bad in a finale that culminates in a big battle—but what they bring to “Thor Ragnarok” is a refreshing amount of jocularity. They also answer every viewer’s question, “Where were Thor and Hulk?” during the events of 2016’s “Captain America: Civil War,” making this particular entry a “sidequel” of sorts. Director Taika Waititi’s trademarked touch of the quirky and offbeat is all over this tentpole project and enhances it a great deal, letting his own personality smother the obligation of the Marvel machine. The color palette matches every candy in a bag of Skittles, especially on planet Sakaar, and the retro synthesizer score by Mark Mothersbaugh is pleasing and propulsive. The charming Chris Hemsworth has already shown his timing for comedy before as Thor and in other films (primarily 2015’s “Vacation” and 2016’s “Ghostbusters”), but this time, he’s unleashed with an adorable klutziness offsetting his muscle-bound masculinity. 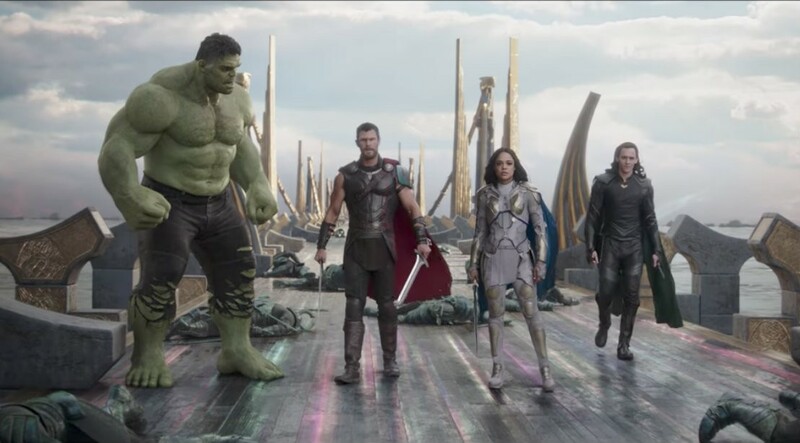 Hemsworth shares tremendous chemistry with Hulk/Bruce (both CG avatar and Mark Ruffalo) and Tom Hiddleston’s impish Loki, as well as Tessa Thompson (2015’s “Creed”), who’s indomitable with moxie as the confident, hard-drinking Valkyrie/Scrapper 142, an Asgardian-warrior-turned-mercenary. 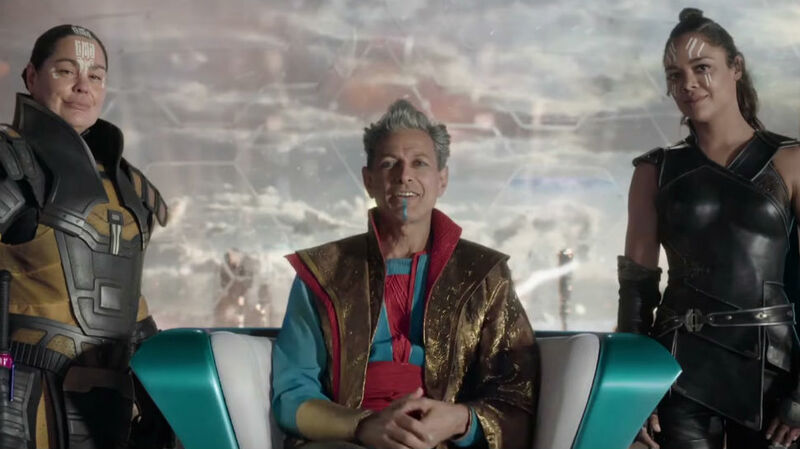 Jeff Goldblum is at his Goldblum-iest—a good thing, indeed—as the flamboyant but maniacal Grandmaster, ruler of Sakaar, and Taika Waititi, himself, steals scenes as the voice of rock monster Korg. As far as other characters from the MCU cropping up, Dr. Strange (Benedict Cumberbatch) has an amusing encounter with Thor and, briefly, Loki, while Natalie Portman’s Jane sits this one out but does get one quick mention involving Thor’s break-up. 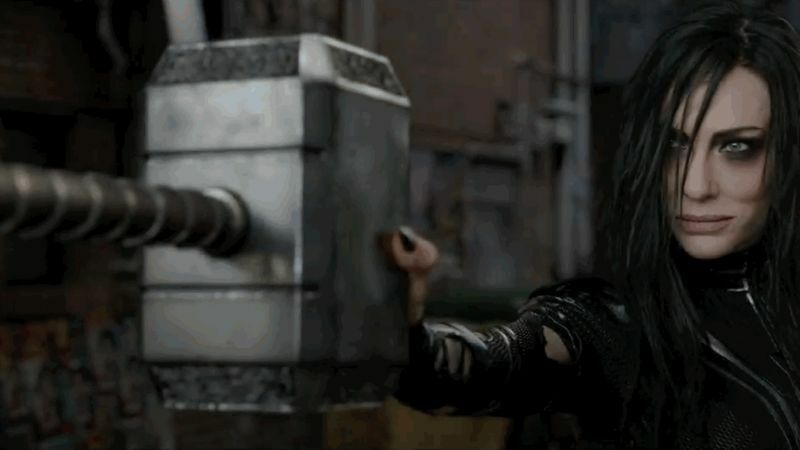 Hela, the villain of the piece, is a vicious, unforgivable badass who takes no prisoners (okay, she crowns Karl Urban’s Skurge as her executioner), but Cate Blanchett is too nuanced and magnetic of an actress that one wishes she were given extra shadings to play with this stock role. Hela may be Odin’s first-born daughter, and yet she is evil incarnate without much more to do than order someone to be killed or to do it herself. In any event, Blanchett goes all in, camping it up and having a grand time performing with an antler headpiece and a spandex suit that many will try donning next Halloween.